Here are the latest transfer rumours from the press. Former Chelsea and Spurs boss Andre Villas-Boas has been tipped as a successor to Zinedine Zidane at the Bernabeu. The Sun reports Real Madrid are considering Villas-Boas as a replacement for the Frenchman after his surprise exit after winning his third Champions League title with the club. Having left Shanghai SIPG in November, the Portuguese is a free agent and Real are said to have made contact. Despite a less-than-dazzling time in the Premier League, AVB retains admiration on the continent and Real's other rumoured top picks - including Spurs successor Mauricio Pochettino and Liverpool's Jurgen Klopp - are said to be out of reach. Liverpool are to raise the tempo in their pursuit of Swiss winger Xherdan Shaqiri after the World Cup, the Daily Mirror reports. Representatives of the Stoke forward, 26, are said to have held talks with counterparts at Anfield already after the Potters' relegation from the top flight. 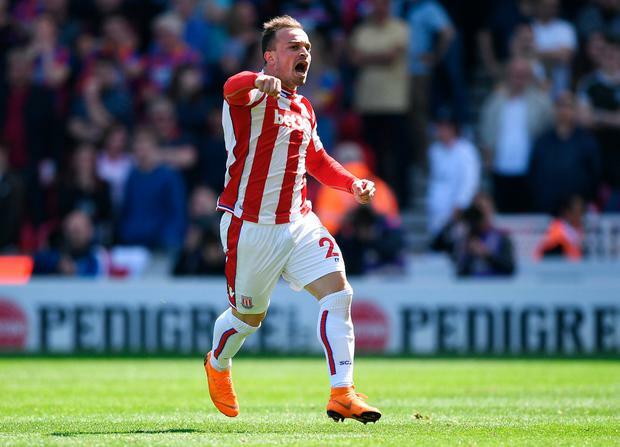 Stoke's demise is said to have reduced Shaqiri's price to £13.5million, which has not escaped the attention of other Premier League clubs. Everton, West Ham, Tottenham and Southampton are said to be keeping an eye on the former Bayern Munich and Inter Milan player. Spurs are set to offer Dele Alli to a new long-term deal worth nearly £100,000-a-week, the Evening Standard reports. The 22-year-old midfielder's reported £40,000-a-week pay rise is said to be part of a drive by White Hart Lane bosses to lock in their star talent. England captain Harry Kane signed a six-year deal on Friday, while efforts are said to be under way to secure the futures of Jan Vertonghen, Christian Eriksen and Eric Dier at the club. Commitments by Kane and manager Pochettino, who agreed a new five-year deal, are part of a reported effort to consolidate ahead of next season. A transfer to Manchester City for Napoli midfielder Jorginho appears to have hit rough ground after the Blues balked at the 26-year-old's £60million price tag, the Daily Mirror says. City are reported to have offered £44million for the midfielder, who is said to have high hopes for a move to the Premier League. His agent, Joao Santos, said an "opportunity of a lifetime" would await the the Italy international at the Etihad. The two clubs are said to have been trying to reach a compromise, however Real Madrid's Mateo Kovacic and Southampton's Mario Lemina are also tipped as possible targets.